Dr. Michael Speziale, described as an innovative educational leader, was the Vice President for Strategic Initiatives at Wilkes University. His prior roles at Wilkes included Dean of the College of Graduate and Professional Studies and the School of Education. Before joining Wilkes, Dr. Speziale served as the assistant superintendent of the Dallas School District and prior to that as the Chair of the division of Behavioral Science, Education and Business at Misericordia University, where he was named as professor of the year in 1992. Dr. Speziale has a bachelor’s in elementary and special education from King’s College, an MS in Special Education from Wilkes University and a doctorate in educational technology and administration from Lehigh University, where he was named outstanding alumni from the College of Education in 2005. Dr. Speziale has served in leadership positions in many professional organizations including current roles as executive director of the Attendance / Child Accounting Professional Association of Pennsylvania, and president of the Partners for Connections in Education. Past roles include time as a member of the National ASCD Leadership Council, president of Northeastern PASCD, and executive board member of PASCD. Dr. Speziale also served on Governor Rendell’s Commission for Teaching Tomorrow’s Teachers. He has presented at numerous local, state, national and international conferences on various topics in education. Many of his presentations have been on the efficacy of technology in the teaching-learning environment. He has also published many articles on a wide range of educational topics. Recently, he coauthored a book on Higher Education reform entitled Excellence on the Edge: Resilience and Performance in Disruptive Times, with Tim Gilmour and Don Norris. Dr. Kerry Speziale is currently a 5th grade teacher at the Dallas School District in Dallas, PA. She has had years of experience as a distinguished educator and has worked in almost every grade level in elementary school. She has also served two stints as an elementary guidance counselor and she served for many years as the district’s elementary mathematics coordinator. Dr. Speziale has served as an adjunct in Graduate Teacher Education at Wilkes University since 2005. In addition, she has worked with the Pennsylvania Department of Education (PDE) in conjunction with the Data Recognition Corporation (DRC) on the task of analyzing, reviewing, and aligning assessment questions for the Pennsylvania System of School Assessment (PSSA). At Dallas School District, she was part of a team that brought Everyday Math to the districts and she also served as a certified trainer throughout that implementation. The conversion to the program and the intense and sustained professional development that accompanied its implementation has helped the district to emerge as one of the perpetual leaders in statewide mathematics performance. Dr. Speziale was recognized for her outstanding contributions to education when she was presented the Presidential Award for Excellence in Science & Mathematics Teaching in 2004. She was also awarded the Outstanding Young Educator award for the state of Pennsylvania by the Pennsylvania Association of Supervision and Curriculum Development in 2006. She has presented at local, state and national conferences on a variety of educational topics. Dr. Speziale graduated from Bloomsburg University with a degree in Elementary Education. She went on to earn a Masters degree in Elementary School Counseling from the University of Scranton, and completed her Doctorate in Educational Leadership at Wilkes University in 2011. Her research while at Wilkes focused on age differences in elementary classes predicated on entry cutoffs in Pennsylvania schools. Her research looked at whether the vast differences within a grade band had an impact on student performance. Dr. Karim Medico Letwinsky is an Assistant Professor in the Doctoral Department for Educational Leadership and International Programs in the Graduate School of Education at Wilkes University. As a former math teacher with over 20 years of experience in both K-12 and post secondary environments, her current coursework is concentrated in the Graduate School of Education focusing on Effective Instruction, Curriculum and Assessment, and Quantitative Research Methodology and Statistics. Dr. Medico Letwinsky prides herself in being both a practitioner and researcher with a contagious passion for the effective teaching and learning of mathematics. As an international consultant, she has provided targeted professional development related to mathematics curriculum and instruction in K-12 classrooms world wide, including IB World Schools and American International Schools in Oman, Latvia, Lithuania, and Estonia, to name a few. Christopher Wade has spent more than a decade as a classroom teacher, creating curriculum and implementing Advanced Placement, Honors and college dual-enrollment courses at both the junior and senior high school levels in the areas of Government and Politics and Psychology, as well as across the Social Studies curriculum. Mr. Wade has actively served on Strategic Planing Committees at both the high school and district levels, worked in curriculum-writing, implementing reading strategies in the non-ELA classroom as well as mentoring both student and first-year teachers. He was a member of the group piloting Governor Rendell’s Classrooms For The Future program in northeast PA. He has presented to groups of superintendents and technology coordinators regarding implementation of one-to-one computing and project-based learning. Mr. Wade has traveled to China meeting with presidents and administrators of Zhengzhou University and Henan Institute of Science and Technology, as well as the principal of Beijing's most elite public school, in the heart of the financial district, to discuss education and opening up international opportunities on both sides of the border. He has been active in programs such as the Student Assistance Program and the Rachel’s Challenge anti-bullying program. Prior to his return to the classroom, Mr. Wade spent a decade in the private sector at a technology start-up. Well-versed in the start-up culture as well as family business, Mr. Wade brings a wide-range of diverse experiences, both in and out of the educational field, to both students and teachers. Mr. Wade holds both a Master’s and a Bachelor’s Degree in Secondary Education from the University of Scranton. In 2013, he was the Mentor of the University of Scranton’s Student Teacher of the Year and was invited to give the keynote speech at the dinner concluding the year. Dr. Paul Reinert holds a B.S. in General Science/Secondary Education and an M.S. in Secondary School Counseling, both from the University of Scranton. In addition, Dr. Reinert earned certification in Secondary Administration and completed his formal education with a Ph.D. in Human Development with a Specialization in Education Administration at Marywood University in Scranton, PA. His primary areas of professional interest include school culture, developmentally appropriate practices, and school reform. Dr. Reinert enjoyed a diverse and extensive public school career, working 12 years as a junior high school science teacher and four years as a middle level guidance counselor in the Lake-Lehman School District. While at Lake-Lehman, Dr. Reinert also coached varsity soccer, junior high school wrestling, varsity girls and junior high school track and field. Dr. Reinert served the Dallas School District for 18 years in a variety of administrative roles including Assistant High School Principal, Assistant Middle School Principal, Dallas Elementary School Principal, Assistant Superintendent for Curriculum and Instruction, Wycallis Elementary School Principal, and Middle School Principal. In 2013, under his leadership, the Wycallis Elementary School was recognized as a National Blue Ribbon School. Dr. Reinert has significant experience in higher education serving as an adjunct faculty member in the graduate education departments at both Wilkes and Misericordia Universities. At both schools he has taught extensively from the graduate teacher education catalogs. He has also been involved at the program and development level, composing some of the first online graduate teacher education courses at Wilkes and serving on the committee at Misericordia that developed and gained Pennsylvania Department of Education approval for a reading specialist certification and Master's degree. Currently, Dr. Reinert is serving Wilkes University as a visiting professor in the Doctorate of Education Program. Dr. Byron McCook has twenty-nine years of public school district administration experience and is currently the Director of Information Technology and Child Accounting for the Radnor Township School District in Delaware County Pennsylvania, where he is responsible for directing and managing all aspects of information and administrative technology, pupil registration, and child accounting for approximately 3,700 students. Prior to coming to the Radnor Township School District, Dr. McCook was the Director of Technology and Child Accounting for the William Penn School District where he managed instructional and administrative technology, the school district data processing and child accounting operation. Dr. McCook servers on the executive board member of the Attendance /Child Accounting Professional Association of Pennsylvania and on the executive board of Partners for Connections in Education. He is member of the Pennsylvania Association of School Business Officials, Delaware Valley Association of School Business Officials, American Association of School Business Officials International, International Society for Technology in Education, Pennsylvania Association for Educational Communications and Technology, and Eastern Pennsylvania IT Data Managers. He is also on the Board of Directors and a Trustee of the Gesu School, an independent parochial elementary school in Philadelphia. Additionally, Dr. McCook serves as an adjunct professor of education leadership at Neumann University and St. Joseph’s University. Byron A. McCook holds an A.G.S. in General Studies from Community College of Philadelphia, a B.B.A. in Computer and Information Science from Temple University, and a M.Ed. in Education Technology from Rosemont College and an Ed.D degree in education leadership from Saint Joseph's University in Philadelphia. Pam Oliveira has a B.S. in Chemistry/Comp Science from Carnegie Mellon University and worked as Software Engineer for SAIC in San Diego, CA. She worked as a consultant at Pennsylvania State University teaching computer classes for adult learners. She has a B.S. in Elementary Education from Misericordia University and works as a 7th grade math teacher, mathcounts coach, and adviser for the yearbook club and journalism club at Wyoming Valley West Middle School. She currently teaches math at the college level and has taught math education classes for teachers to become highly qualified. She has an M.S. from Wilkes University in Instructional Technology and is in the process of writing her dissertation for an Ed.D. in educational leadership from Wilkes University concentrating in educational technology. Cheryl is the Department Chair of Career & Technical Education, as well a professor in the Digital Media, Business Computing and Teacher Education departments at Coastline College, in Southern CA, where she serves on the Academic Senate and various other committees, including the Curriculum, Professional Development, Career and Technical Education, and Distance Learning Committees. 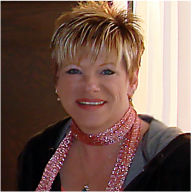 As an instructional designer, Cheryl consults with K-14 and higher education institutions and businesses to develop standards aligned course curriculum for classroom and online delivery. As project coordinator, she works with local agencies, advisory boards, state funded projects, colleges and businesses to build partnerships and promote new initiatives targeting emerging or rapidly developing industries. During each phase of her professional career, Cheryl has been involved in curriculum development in multiple subject areas, to include online course development. Previously, Cheryl was the Coordinator/Professor of the Multimedia Certificate Program at California State University, LA. She also was the distance learning coordinator at Misericordia University in PA, where she taught courses in the special/elementary education department. Cheryl holds three teaching certificates, a B.S. in education, (East Stroudsburg University, PA) and a Masters in Educational Technology (Misericordia). In her own consultancy firm, International Touch, Cheryl specializes in digital media for education and entertainment, (promotion and publicity), online course development and facilitator/professional development training, Webinar presentations, as well as corporate training services. Linda Benedetto retired from the Pennsylvania Department of Education with over 41 years of experience spanning a wide variety of program responsibilities. Since 2010 Linda has worked on a part-time basis completing special projects and assignments. 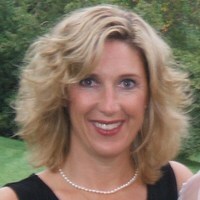 As chief executive officer of LJB Consulting LLC Where Great Minds Come Together, currently Linda is the program manager for Pennsylvania’s equitable access state plan to ensure that all children, especially those in Pennsylvania’s poorest and highest minority schools, have access to excellent educators. She retired as the Chief of the Division of Teacher Quality, which had responsibility for implementing (1) Pennsylvania’s highly qualified teacher requirements, (2) Pennsylvania’s National Board for Professional Teaching Standards initiative; (3) higher education’s Eligible Partnerships competitive grant of Title II Part A; (4) staff validity and audit citations for school districts when they employ staff who are not properly certificated for their school positions; (5) federal reporting, including but not limited to Higher Education Act Title II, portions of PA’s Consolidated State Performance Report, and completing surveys. Early in 2008 Linda led a department-wide team as it prepared for its May 2008 US Department of Education Title II Part A monitoring visit. In April 2007 Linda was appointed to lead the Division of Professional Education as it conducted teacher certification program reviews and developed new certificate program guidelines. Between 1989 and 2007, Linda was responsible for higher education’s competitive Title II Part A grant. Since 1989 she has managed over $100 million in federal funds distributed to Pennsylvania’s colleges, universities and intermediate units to assist school districts in improving teaching and learning in mathematics, sciences and literacy. In her capacity as the higher education coordinator for teaching and learning improvement programs, she has provided leadership for numerous statewide improvement initiatives, including a multiyear, multi-million dollar federal teacher quality enhancement grant; a principal mentoring program; professional development experiences for urban educators, college faculty, grant leaders; accountability systems and evaluation. She has prepared numerous reports to document program impact and has served on educational advisory boards and other educational task forces and committees. She earned a Bachelor of Business Administration and a Master of Business Education from the Pennsylvania State University.